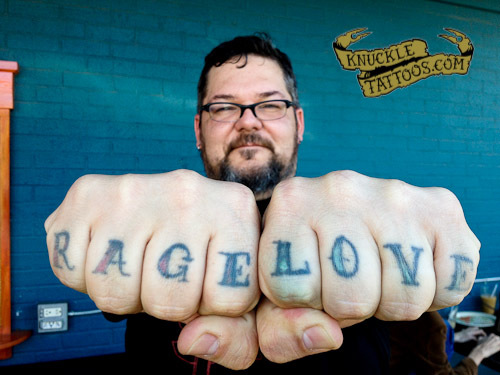 Pretty Simple, I have seen the whole “love” and “hate” across the knuckles all my life, i wanted to stay true to the whole good verses evil / love verses hate scheme . . . Lust is a word i associate with Love blindly . . . Rage is what i feel in my heart for the things i truly Hate . . . LUST and RAGE, 2 of my worst enemies . . .